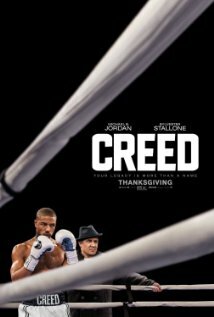 Rocky (Sylvester Stallone) is back but he is a lot older and a little punch drunk but decides to help train the son of his old pal, Apollo Creed. The film begins with a young Adonis ("Donnie") Johnson getting into a fight at a reform school. Later, he is visited by a woman who turns out to be Apollo Creed's wife, Mary Anne (Phylicia Rashad). Though Adonis is the product of an illicit affair between Adonis' mother and Apollo, Mary Anne wants to help him and takes him in. Fast forward to the adult Adonis (Michael B. Jordan) winning a fight in a ring in Mexico. But our Adonis is a man of many talents. He is also a wonderkund at a securities firm in Los Angeles and he is up for a promotion. But he turns down the promotion. He wants to be a fighter. Now he just needs someone to train him. Donnie tries to get into the acclaimed Delphi Boxing Academy, but they turn him down so he travels to Philadelphia to find his father's old rival, Rocky Balboa. Rocky is now running "Adrian's," an Italian restaurant named after his late wife ("A-D-R-I-A-N!!!!!") He doesn't want to get back into the boxing game, but after being hounded by Donnie, he relents and takes Donnie to the Front Street Gym and introduces him to all of his boxing cronies. Donnie proves himself by winning a big fight and gets the nickname "Hollywood Donnie Johnson." At the same time, the light heavyweight champion of the world, "Pretty" Ricky Conlan (Michael Bellew) is in a bit of trouble back in the UK and facing a prison term. He wants one final big fight and when word gets out that Donnie is Creed's son, they seize the opportunity, but only if Donnie will change his name to Donnie "Hollywood" Creed. Donnie doesn't want to do this because he wants to prove himself as his own man, but he takes the bait and is lured into the fight of his life. Rocky also discovers he has a fight of his own to win, too, so the film becomes a big fight movie as Donnie fights for his career and a poignant, sensitive film as Rocky fights for his life. Of course we can't have a film starring a handsome young leading man without a love interest and that is provided by the lovely Tessa Thompson, who plays Donnie's songstress neighbor. Michael B. Jordan first came to my attention with his wonderful performance in "Fruitvale Station," and he continues to impress here. This is just the beginning for him. But the real heart of this film is Sylvester Stallone in one of the best performances of his long career. I remember the original "Rocky" and it was a revelation. 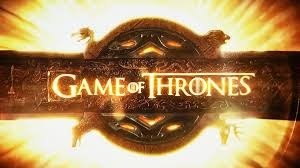 I loved it and had never seen anything like it. Stallone wrote that script and was a starving actor, but he refused to sell the script unless he could star in the film. He held out for that and Sylvester Stallone emerged as a huge star winning an Oscar for his performance, a nomination for his screenplay and the film won an Oscar for Best Picture. Since then he was able to parlay that into Rocky sequels and he became an action hero in the "Rambo" films, but he was never really credited again with being a wonderful actor. Well, 39 years after the first "Rocky" film, Stallone is once again on top with this wonderful, sensitive and nuanced performance of a man on the other side of life mentoring his younger self. It harks back to the poignancy of that first Rocky film, bringing Stallone full circle. He is sure to get an Oscar nomination for this performance. Though you don't need to have seen all of the prior Rocky films to appreciate this film, fans of the series will love the homages paid to the first film. 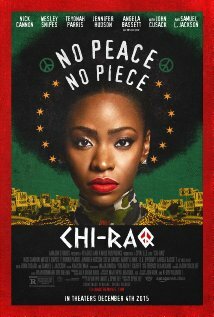 Everyone here is first rate as is the direction by Ryan Coogler (who also co-wrote the script with Aaron Covington). Coogler worked with Jordan on "Fruitvale Station" and once again produces a powerful film that will stay with you. Rosy the Reviewer says...this is a great fight movie but you don't need to like fight movies to love this film. One of the best of the year...and bring your hanky. Quentin (Nat Wolff) has always had a crush on his beautiful young neighbor, Margo (Cara Delevingne), and when she disappears, he and his friends set out to follow her clues and find her in this coming of age tale. What teen-aged boy wouldn't want to live next door to Cara Delevingne, a hot model of the moment, who plays Margo and makes her feature film debut in a starring role in this quirky teen mystery story based on the young adult novel of the same name by John Green? When Margo moves in next door to Quentin in Orlando, they are young tweens and strike up a friendship, riding their bikes and waving at each other through their bedroom windows. But when they turn into teens, Margo is popular and Quentin not so much, so they grow apart, though Quentin has never quite gotten over Margo. One night Margo climbs into his bedroom window and lures Quentin out into the night for an adventure. Well, actually some revenge on her boyfriend who is cheating on her. They shave the boyfriends eyebrows in his sleep (a bit far-fetched that he wouldn't wake up) and mess up his car. Quentin has this awesome one night with Margo...and then she disappears. But Quentin things she has left clues, so Quentin and his friends go on a scavenger hunt in a "Goonies-like" adventure to try to find Margo. They take a road trip to track Margo down and in so doing, learn about themselves in their last weeks of high school. A paper town is a fake town that mapmakers would put on a map to protect their work so if someone copied it the fake town would be there and they would know it was their work. Here it also stands for the ephemeral journey of growing up and away from youth as Quentin searches for Margo in a paper town. Margo is a metaphor for chasing a dream - an unattainable one. Based on the YA book by John Green who also wrote "The Fault in Our Stars," this story is less predictable that that one. Screenwriters Scott Neustadter and Michael H. Weber have adapted Green's book into a screenplay that has some of the usual teen coming-of-age clichés but ultimately captures teenage angst in a way that will even resonate with adults. Delevinge is a lovely movie presence and does a good job as the unattainable girl. She reminded me of Cybill Shepherd's character in "The Last Picture Show." Wolff has a dorky charm that is needed for Quentin and the two of them together make a nice contrast because Quentin is a "follow the rules" kind of guy and Margo is a "break all of the rules" kind of girl. Quentin needs to learn to break a few rules if he is going to find himself. Rosy the Reviewer says...a teen film with a difference that adults will also enjoy. Max is a bomb sniffing dog in the military posted in Kandahar, Afghanistan. He does reconnasance for his military buddies and then lets them know it's safe to proceed. Kyle, a soldier from Texas, is Max's handler and together they find an enemy arsenal. Later there is some discrepancy in the number of weapons discovered and the number recovered. Could someone be stealing the weapons? Yes, and Kyle is suspicious of his friend, Tyler, and confronts him. On a later mission, Max tries to warn his squadron of danger but is told to keep moving and Kyle and he are hit by a suicide bomber. Kyle is killed and Max is traumatized. At Kyle's funeral, Max is brought in and he goes straight to Kyle's coffin and lies there. Kyle's younger brother, Justin (Josh Wiggins), is a teenager who loves video games and makes a bit on the side pirating them. Max and Justin bond but Max's trauma has made him suspicious and vicious toward others so Justin's parents decide that he needs to be euthanized but Justin begs his parents to save Max. We have a disaffected, angry teen and a vicious traumatized dog. What do you think is going to happen? Justin meets a girl, Carmen (Mia Xitlali, who is a dead ringer for Winnie Cooper) who is interested in helping Justin bring Max back from his injuries. Slowly Justin and his friends sensitize Max...and SHE sensitizes Justin. Then Kyle's friend, Tyler (Luke Kleintank), shows up. He has been mysteriously discharged from the army. He ingratiates himself with Justin's Dad, Ray (Michael Haden Church), and Ray hires him to help him with this storage business. Max hates Tyler. Mmmm...I wonder why. When Ray asks Tyler how Kyle died, Tyler blames his death on Max. He tells Ray that Max turned on Kyle. Now Ray hates Max and wants to kill him. 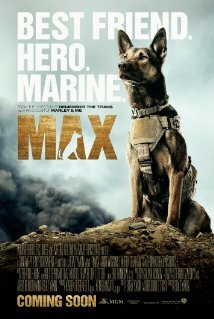 Justin sets out to clear Max by going to the Dogs of War organization to find out if Max would have done such a thing. He sees a video of Max's training and realizes Max could never turn on his trainer. He realizes that Tyler has lied. Tyler is not a nice guy. Remember those missing guns? Well, Tyler has a little cottage industry going selling guns to bad guys and when Justin and Max suss him out, Max has to fight off a pack of rottweilers. Max ends up in the hospital and is set to be euthanized but in a spectacular prison break escapes, reminiscent of the old Rin-Tin-Tin days. Ray also finds out that Tyler is a bad guy but it's a bit too late, and Tyler kidnaps him, so Justin, Max and Justin's friends set out to track them down and save Ray. This is a fun little family film reminiscent of "Stand By Me," but with a dog. And believe it or not, the kid actors are quite appealing. Maybe kid actors are finally growing on me. Rosy the Reviewer says...it's not "Old Yeller," but it's an easy to digest family film especially for kids and dog lovers. What started out as a documentary on General Sherman and the lasting effects of his march through the South during the Civil War, turns into something decidedly different when filmmaker Ross McElwee's girlfriend breaks up with him. 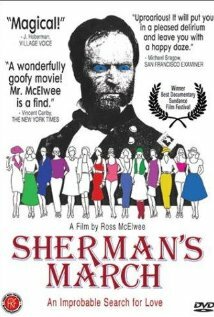 Ross McElwee wanted to make a film about William Tecumseh Sherman and the lingering effects Sherman's March had on the South. As the documentary begins, McElwee is living in Boston but right before he plans to head back home to the South, his girlfriend breaks up with him. This event devastated him and changed the direction of his film. The subtitle of this film is "A Meditation on the Possibility of Romantic Love in the South during an era of nuclear proliferation." It seems that when Ross's romantic life is in disarray, he is haunted by dreams of a nuclear holocaust. When he returns home, Ross's family rallies around him and tries to fix him up. He meets and visits a series of young women who he makes love to with his camera but in reality never even gets to first base. Pat is an aspiring actress who lets him film her doing her exercises to get rid of cellulite. Hilarious, especially when she tells him she isn't wearing any underpants. Pat is a bit of a nut. He follows her to Atlanta where she tries to meet Burt Reynolds, who is filming there. Then there is Claudia, a religious girl who has ties to a survivalist group who are waiting for the end of the world. Jackie is a protester and then there is Charlene. She had all kinds of advice for Ross and had no hesitation sharing it. That's what makes this film special. McElwee was able to disarm people to such a point that they spilled their guts. McElwee intersperses this cinema verite film with historical tidbits about Sherman and while in Atlanta contrasts the modern South with what happened during Sherman's siege. He continues to make those parallels throughout the film and it becomes clear that McElwee feels some parallels with Sherman and his own life. Sherman was plagued by anxiety, which it seems McElwee also was (remember those dreams about a nuclear war?) and ended up a tragic figure, which I don't think happened to McElwee, though he feels pretty tragic during the making of this film. Why it's a Must See: "Ross McElwee's [film] could be seen as the Citizen Kane (1941) of the diary film genre...Like Kane, it was hailed as something utterly new in American cinema...McElwee originally set out ot make a film about the lingering effects of the South's defeat in the Civil War, but a break-up with his long-time girlfrirend...found his return home becoming equally an attempt to find romance...Over the course of the film, he embarks on a few tentative attempts to create a relationship...His voice-over commentary becomes increasingly self-critical, until in an exceptionally poignant moment he finally wonders aloud whether he's filming his life or filming so he'll have a life...It may look 'simple,' a kind of glorified home movie, but what makes it art is McElwee's generous spirit, good humor, and remarkable candor." For much of the film, we never see Ross, but just hear his voice which is amusing in its deadpan delivery. When we finally do see him, his likeness to Sherman is noticeable. Must be the beard. This film is not for everyone, but I find cinema verite fascinating. Sometimes real life is more entertaining and riveting than fiction. Just as Sherman marched through the South during the Civil War, this is McElwee's socio-cultural march through the South in the 1980's. Speaking of which, this film was made 30 years ago. I would love to know what happened to the women he interviewed. This is a fascinating journey that won the Grand Jury Prize at the Sundance Film Festival in 1986 and is one of the films inducted into The U.S. National Film Registry. My only criticism would be the length. Two and a half hours is too long, even for me. Rosy the Reviewer says...a fascinating depiction of life in the South during the 1980's and the quest for love. Recipes inspired by classic books. Nicoletti is a butcher, a cook and a writer and says that "I fell in love with cooking through reading...I connected deeply to the characters in my books, and cooking the foods that they were eating seemed to me a natural way to be closer to them, to make them as real as they felt to me." She was a retiring type who struggled through middle school and the losses and changes that life deals us. Reading and cooking helped her connect to the world. Her grandfather was a butcher so she grew up around food and when she went to college, she earned money working in restaurants. She started throwing literary dinner parties and wrote a literary recipe blog called "Yummy Books." 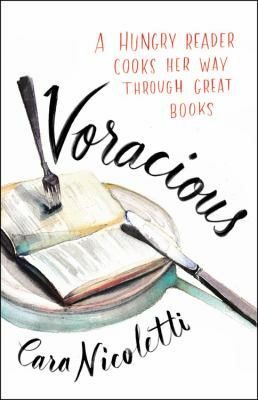 Here Nicoletti shares 50 recipes from her 50 favorite books, starting in childhood and moving through her adolescent and college years and finally to adulthood. In addition to the recipes, Nicoletti also shares her thoughts about each book and how that book affected her. We have the "Double Chocolate Walnut Sundae" from the Nancy Drew books (she thought Nancy was too perfect); Pippi Longstocking's Buttermilk Pancakes (she thought Pippi was exhausting); Stuffed Avocadoes from "The Bell Jar;" and how could she NOT have "Crostini with Fava Beans and Chicken Liver Mousses" from "Silence of the Lambs?" 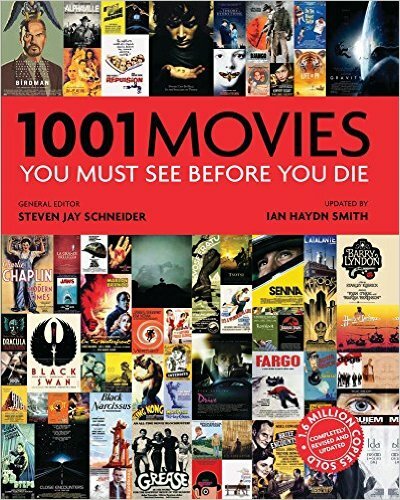 There is also jelly donuts from "A Confederacy of Dunces," brown butter crepes from "Gone Girl" and Red Wine Rosemary Bread from "The Odyssey" and much more. Rosy the Reviewer says...a delightful read for foodies and literary types alike. I wish I had thought of this idea and written this book myself! "The Worst Movies of 2015"
I am not a fight movie fan but I sure loved Stallone in the first Rocky movies. Have loved him ever since even tho he really has done some lousy movies. I look forward to seeing this one based on your review because I do think he is Oscar material and he has been hiding it all these years since Rocky.